Most people experience a point in their lives when they need access to a large amount of cash, whether it be for a major purchase, home renovation, investment or an emergency. When you don’t have the funds on hand, you can always access the equity in your home through a cash-out mortgage refinance. Following a steep run-up in home prices in most major markets in recent years, certain markets, particularly the Greater Toronto Area, experienced a slight correction—or at least pause—in 2017. 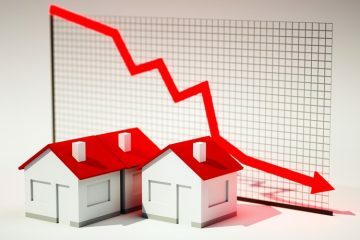 But things look to be modestly stabilizing, as seen in the Toronto Real Estate Board’s January statistics, and that’s good news if you’re considering a cash-out mortgage refinancing. As the value of your home increases, so too does your available home equity. For example, if you bought your home in 2010 for $500,000 with a $400,000 mortgage, you owned 20 per cent of it. Let’s say you’ve since paid off $100,000 of your mortgage. If your home was still worth $500,000, you would now own 40 per cent of it. But if you’relocated anywhere near the Greater Vancouver or Greater Toronto areas (or some other hot markets across the country), your home is probably worth a lot more now. At a value of $800,000 today, with your $300,000 mortgage, you now have $340,000 available equity to tap into (remember, uninsured mortgages, or those with less than 20 per cent equity, cannot be refinanced). TIP: You can use this refinance calculator to determine how much equity is available to you. That’s a significant difference, and it gives you options—one being the ability to refinance your mortgage and take some equity out of your home as cash. This is what’s known as cash-out mortgage refinancing, as opposed to a refinancing where you simply renegotiate (extend) the terms of your mortgage. Why Consider a Cash-Out Mortgage Refinance? Maybe you want to do a home renovation or go back to school. Perhaps you’re looking to put a down payment on an investment property (or assist a family member with their down payment), or pay off an existing debt.? With an influx of cash in hand, you could do that. But before you go running off to the bank, there are some important considerations. 1. The terms of your mortgage will change. A cash-out mortgage refinancing will increase the amount you owe. If your mortgage is $300,000 now and you want to pull $100,000 out of your equity, your mortgage will jump to $400,000, as will the interest you owe. To cover this, one of two things will happen: you’ll either have to increase your monthly payment or lengthen the amortization (or a combination of the two). TIP: Use this calculator to see what your new mortgage payments would look like after refinancing. So you’ll have to look at your finances and decide which makes most sense for you. Most experts will tell you that the quicker you can pay off your mortgage, the better. But others will tell you to use that money for more pressing obligations or opportunities, especially since you’re presumably going to be paying your mortgage off over decades, and at historically low mortgage rates. 2. You’ll have to re-apply. 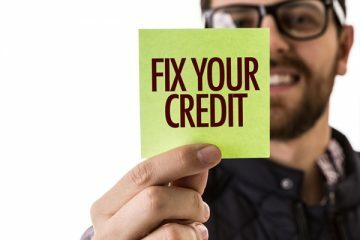 A refinancing of your mortgage results in a new mortgage, so you’ll have to produce all the documentation your bank or mortgage broker requires to approve you. This will include a check of your credit score, income statements and other personal financial records and, if you own a business, your company’s financials as well. The less cash you plan to take out, the easier this process will be. But you will still have to demonstrate that you’re able to manage the new debt you’re taking on. 3. Don’t bother with cash-out refinancing if you plan to rack up more consumer debt. High-interest debt repayment that will lower your monthly expenses. These are all good reasons to consider cash-out mortgage refinancing. But remember, recent government mortgage changes mean you need at least 20 per cent equity in your home before you can even consider refinancing. 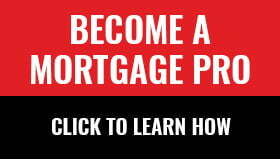 If you’re still unsure if this option is for you or if you have more questions, be sure to contact a mortgage broker.